For the folks who haven’t met her yet, give us a brief description of Calli Barnow, and since the bio on your website mentions that your birthday falls on the cusp of Sagittarius and Capricorn, you’ve got to tell us Calli’s sign too! How much of you is in Calli? Kensington Market area of Toronto. Due to her homophobic father, she left home while still a teenager, thus relinquishing the silver spoon with which she was born for the school of hard knocks. Because of that, Calli has developed psychological scars and personality quirks she might not otherwise have possessed. Although she does have close friends and a steady love relationship, her emotional challenges still often get in the way of not only her personal life, but also her professional endeavours. Nevertheless, Calli is not a dark character; in fact, she often sees the world in a rather humorous light. Regarding astrological signs, Calli would be an early Sagittarian. (By the way, although such things can be fun, I take them with a grain of salt.) She’s independent, doesn’t like to be tied down, and she can come across as rather unemotional. I’m often asked if Calli is based on me. No. She is a fictitious character, and almost every aspect of our lives, both past and present, are different. We do, however, share the same attitudes toward many things. The Calli Barnow mysteries are all set in Toronto. With all else remaining unchanged (plot, characters, themes, suspects, red-herrings and so on...) do you think you could have or would have been able to write this series if it were set in, let’s say, your hometown of Regina, SASK? Or would Calli have ended up being a different character all together? In other words, how much influence does setting have on the story and to what extent does setting impact the character? Setting has a tremendous effect on the story. The size and multicultural nature of Toronto make it ideal for providing textured and changing backdrops for both individual scenes and ongoing story lines. I consciously use locations to create mood and atmosphere, as well as to provide interesting venues for crimes. My books would be very different, if they were set somewhere else. Toronto has also had a considerable effect on the character of Calli. As a young lesbian who was trying to make a life for herself, she was able to find community support that might not have been as readily available in a place with a smaller population. The size of the city also gives her a certain amount of anonymity, which is sometimes necessary in order for her to perform investigations. On the most basic level, Calli is a big city Ontarian. She is the product of Toronto, and it’s where she belongs. Interestingly, your bio mentions that it really wasn’t until somewhat later in life that you began reading mysteries, and yet here you are a thrice published mystery novelist! Do you think that your writing is influenced much – if at all – by all the non-mystery books you’ve read? Absolutely. Two of my favourite writers are Virginia Woolf and Thomas Hardy. I have always admired Woolf’s stream of consciousness techniques and Hardy’s ability to create a cinematographic feel through his narrative. The most profound influence on my writing, however, is my background in theatre. Having studied dramatic literature extensively, and having trained and worked as an actor, my writing is character-driven to the core. What is the one thing that a writer in any genre can do to turn you off as a reader? Are there any books you’ve begun reading but never finished? Yes, there are some books I have begun reading, but never finished. I’m not, however, going to name them. In general terms there are a few things that will turn me off reading a book. Perhaps the most important and the most quickly recognizable aspect would be poor or simplistic use of language. I also need to feel that there is an underlying truth within the characters and story line. I appreciate humour, but I’m not big on things that are trivial. I’m also a happier reader if there is at least one character who really grabs me in some way. I recently read an acclaimed novel in which all the main characters were unlikeable. Although that was appropriate and in fact necessary for the plot, I found it did not satisfy what I look for as a reader. Sorry, I seem to have more than one turn off point. How do you come up with bad guys? How do you create a killer? Is it ever difficult to write about nasty characters with vicious tendencies? How do you balance the writing of a bad guy and keeping readers with you? ahead of time. In creating a killer, I look at the motivation to kill that is presented from the circumstances in the story, and I tie that to the psychological aspects of the character that would enable him/her to do the deed. I personally find it easier to write a nasty character than a pleasant one. I do, however, research the psychology behind all my villains. I don’t believe in generic bad guys. I think that’s the key to keeping the readers with you. The characters who commit the crimes need to be as real, as individual and as complex as your main characters. You should be able to believe that the bad guy could be your neighbour, at least until the layers of civility start to be stripped away. One of the most important things I learned as an actor was the necessity for one character (and/or reader) to constantly be discovering something new about another character, even if it’s an old friend. That element of surprise will keep the relationship alive and it will keep the audience/reader engaged. This applies to the bad guys too. Once upon a time, the mystery genre was dominated by male writers whose protagonists were all white tough guys. In the last 25 to 30 years or so, the mystery genre has opened its arms quite widely to protagonists from all sorts of backgrounds and from various walks of life, which is a great thing! How is this trend reflected in your novels? Yes, mystery novels are certainly not as narrowly-defined, or as predictable as they once were. 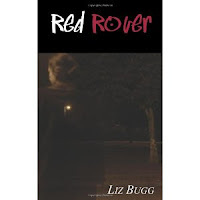 Had things not moved past white tough guy protagonists, I would never have attempted to write a mystery. My protagonist embodies some aspects of the diversity that is now being seen in the genre. I made my main character a white female. That’s not a big leap, but I chose not to appropriate voice in this instance. Calli is a lesbian. That’s a little less mainstream, but once again, I know what I’m talking about. Calli does not have a background in law enforcement, but rather a varied list of past jobs, including construction worker. She often finds her cases a huge challenge, and she sometimes makes mistakes. In other words, she isn’t what you might expect from a private investigator. In fact, she often falls into the category of reluctant hero. Since a writer can only go so far with a protagonist, I consciously try to address the issue of diversity through other characters, both ongoing and within individual novels. Calli’s sidekick is a Jamaican-Canadian drag queen. Calli’s love interest is Asian. 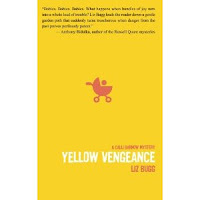 One of the characters in Oranges and Lemons is in a wheelchair, and in Yellow Vengeance many of the characters, including the woman who hires Calli, are South Asian. As I said earlier, Toronto is an ideal setting for this kind of mosaic. In striving for an accurate cross section, I also make an effort to include characters from a wide range of socio-economic situations. I hope that the end result is an interesting and unpredictable slice of life. You’ve done a lot of book events and you’re also quite active in social media. What is one of the strangest or funniest interactions you’ve had with a reader (whether in person or online)? I actually don’t have any strange or funny interactions to relate. That pleasure is yet to come. I have met some wonderful people, both in person and through social media, and it’s those people who keep me writing. What is the worst bit of writing advice you’ve ever heard? What is the best piece? I need to preface my first statement by explaining that this probably doesn’t apply to everyone. The worst piece of writing advice I’ve heard is that you have to be disciplined and write every day. That doesn’t work for me. The best piece of advice is that everything you write, including fiction, should be true - not factual, but authentic. It must contain some element of a basic, human truth. This can be achieved by being specific. Only then will your writing near the ultimate goal of being universal. I know book three, Yellow Vengeance, has just come out of the oven, so to speak, but what can you tell us about your current work in progress? I assume there’s another Calli Barnow caper on the way? Calli Barnow novel would begin, I have no definite plans at the moment for when I would write it. I may try a standalone book next, and I’m not sure if it would be a mystery or not. I’ve also started work on the life story of visual artist, Joelle Circe, and I’m ten thousand words into a creative non-fiction book based on the life of my grandmother. What I need right now is time to recharge my batteries, and decide what direction I want to take my writing life. Clues, clues, clues! For a mystery novelist, playing fair with the reader is tricky business! How do you pepper in enough clues to give the reader a chance, without making it obvious, but not so few that it becomes unfair? I don’t have any sort of a formula for handling this issue. It is at the back of my mind, as I’m writing, but as with the story line, I tend to let the clues present themselves to me. Sometimes a thought will appear, and I’ll say to myself, “Yes, that’s a decent clue to include.” At other times, I will become aware as I’m revising that I need a hint here or there, and then I’ll figure out what and how to work them in. Let’s have some fun with quotations about mystery fiction! Take a look at the lines below. Do you think crime fiction in particular and genre fiction in general are yet taken as serious literature? Will they ever be taken as serious literature? And does that even matter? Those are great quotes, and certainly food for thought. Varying opinions on the subject abound. There will always be literary elitists who turn up their noses at genre fiction in general and crime/mystery/detective fiction in particular. I don’t fall into that camp (obviously). Sure, there’s no shortage of mediocre and even bad genre fiction out there, perhaps due in part to the formulaic nature of the beast. P.D. James says, “One of the criticisms of the detective story is that this imposed pattern is mere formula writing, that it binds the novelist in a straitjacket which is inimical to the artistic freedom which is essential to creativity, and that subtlety of characterisation, a setting which comes alive for the reader and even credibility are sacrificed to the dominance of structure and plot.” She also goes on to say that she is always amazed at how good writers manage to go beyond the restrictions. I agree with her. I think that nowadays, more than ever, writers are not afraid to play with form and structure in genre fiction, even to the extent of sublimating traditional aspects of it in order to more fully develop things like character or relationships. I know that when I’m writing, I make conscious decisions about what parts of “the formula” I will use, and when I will totally go against convention to achieve my goals. In the scheme of things, I don’t know that it really matters if genre fiction is ever taken seriously, but I do think it’s moving in that direction. That having been said, I would be delighted if my novels were considered in a serious, literary light. How do you decide what to write about, when you begin a new novel? Where does the plot come from? As I said previously, I plan very little in advance. It would be nice to have the security of a detailed outline, but that doesn’t work for me. My plots evolve bit by bit, as Calli goes through her days, meeting a client, pursuing leads and so on. What I usually do have in my head either before I begin writing, or shortly thereafter, is a social issue I want to investigate. 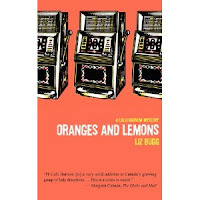 Red Rover looks at parental homophobia, Oranges and Lemons centres around Internet gambling, and Yellow Vengeance examines international adoption. Once I have my core issue, everything else seems to fall into place. Underpinning the issues and the mysteries is the ongoing saga of Calli’s personal life. It is woven both structurally and thematically through the other elements in the novels.